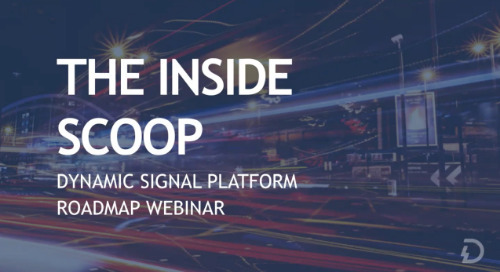 Aaron Strout, CMO for W2O, discusses the importance of employee communication and engagement to their client, and why they choose to partner with Dynamic Signal. 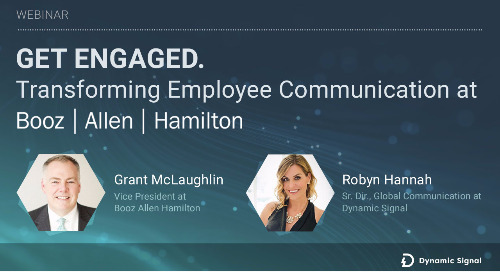 Grant McLaughlin of Booz Allen Hamilton explains why the Dynamic Signal platform has helped his firm dramatically transform internal communication for employees. Dynamic Signal is proud to announce our New Web Experience for you to make working with the Dynamic Signal Platform more intuitive.